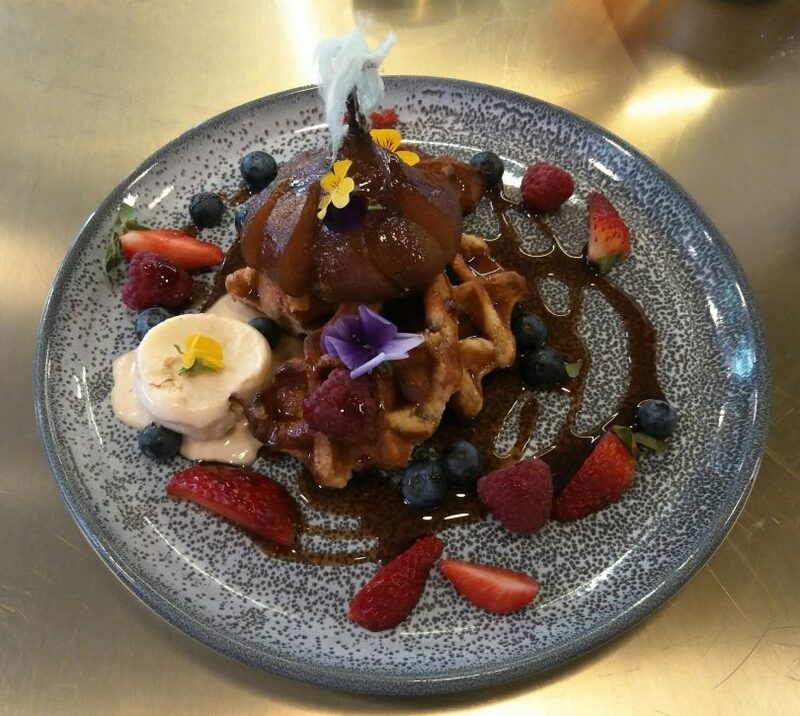 Delicious, if not decadent: Poached Pear Waffle with fresh berries and salted caramel semifreddo. Photo: Maryann Mussared. It was with some trepidation that I approached my first visit to ‘Gus’ Place’ after the recent renovations. As a long-time customer, I was wondering not only how I would feel but also how the iconic original owner Gus Petersilka would feel about the recent make-over. I needn’t have worried as I felt immediately at home and I think Gus, the long-time champion of the right to eat outdoors, would also have approved. Gus’ Place on Bunda Street, Civic. Photo: Maryann Mussared. Gus’ original concept of a European-style cafe has been respected in all sorts of ways. 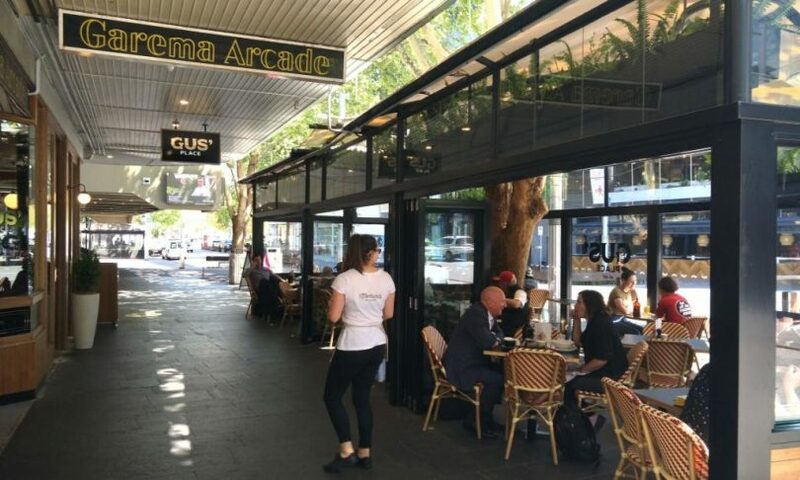 Gus’ is known to long-term residents in Canberra as the first cafe to get approval for outdoor seating. This was after he had ‘run the gauntlet’ with the Department of Interior before they allowed him a six month trial with six chairs and three tables in 1970. 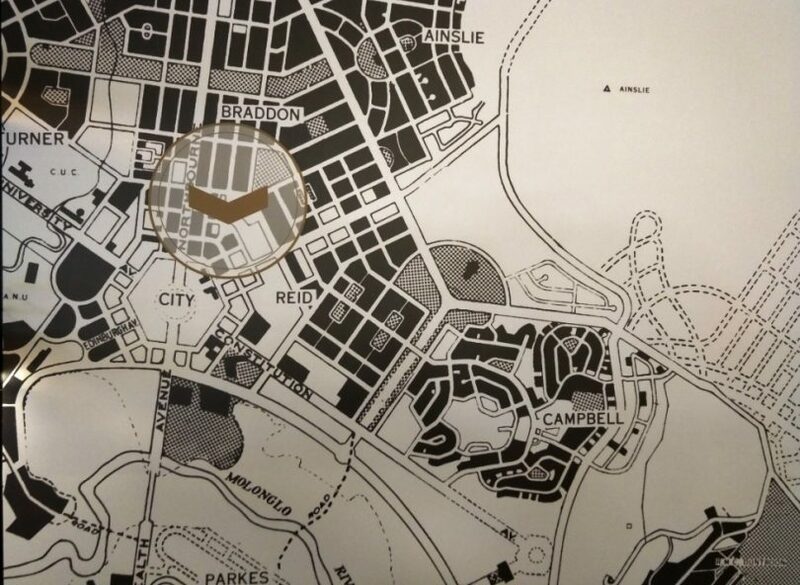 Their initial reluctance was reputed to be because they couldn’t figure out how to charge him, and concern about flies, which were far more prevalent in Canberra in 1970. The renovations have been sympathetic and Gus’ has lost none of its charms. The new interior reminds me of one of the many cozy cafes on the Rue de Rivoli in Paris, although with more space. 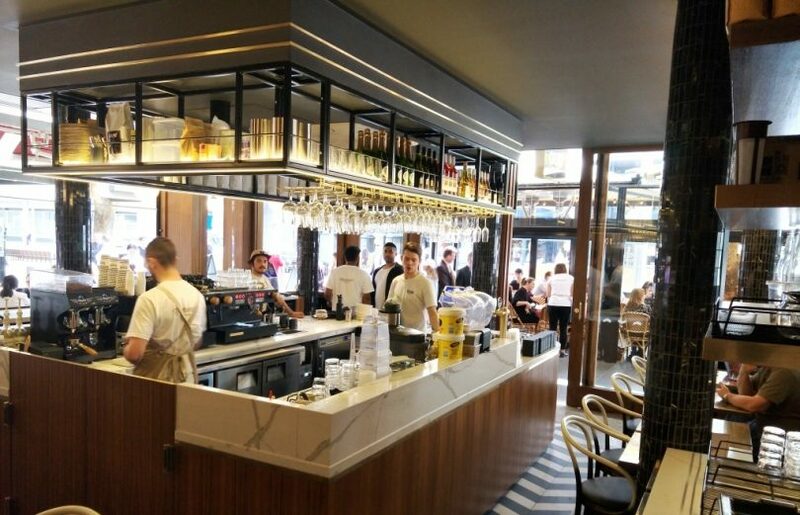 There is a long leather banquette across the back of the cafe, metal-topped tables, wooden panelling, subtle backlighting and a busy central bar to keep any solo diners entertained. There are plenty of hip young waiters and the people working behind the central bar are friendly and part of the action. Background music is set at just the right level, playing mainstream 80s and 90s on my recent visits. Busy bar in the centre of the cafe. Photo: Maryann Mussared. 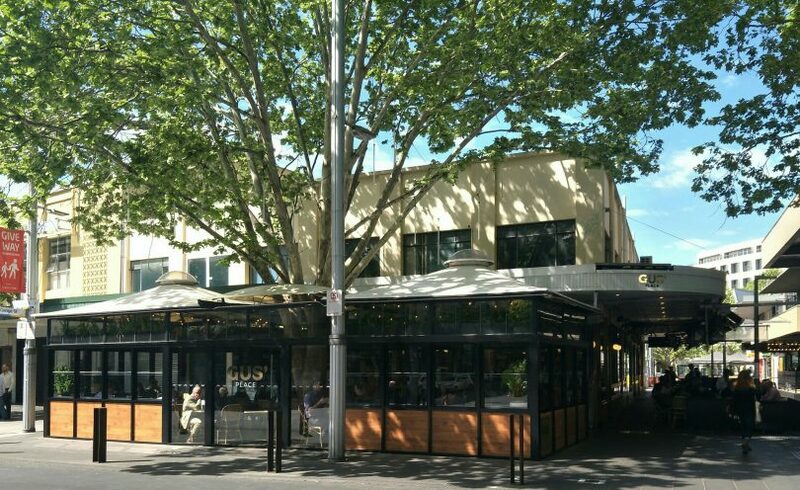 The very popular weather-proof pavilion on Bunda Street has been completely remodeled and contains jaunty Parisian-style cafe furniture and an interesting ‘goldfish’ bowl view of this always busy part of Civic. The side terrace area is spacious, mostly in deep shade, and will catch breezes on warm days. The rebuilt pavilion on Bunda Street. Photo: Maryann Mussared. Although I arrived just after 10:00 am, I got the last table, which was inside at the back of the cafe. On one side was a young entrepreneur who was working out of his ‘virtual office’ and on the other side, a couple of tourists. They had cautiously ordered poached eggs and toast, but when my wonderful Poached Pear Waffle arrived, they both immediately demanded to know what I had ordered. The clientele is a nice a mix of tourists, relaxed university students, furtive-looking men in business suits, and local coffee lovers from surrounding offices. The all-day menu contains lots of favorites with a bit of a twist, including the ubiquitous Smashed Avo. It was great to see a long list of things that could be added on to meals for a reasonable cost, and vegetarian and gluten-free options are clearly marked. 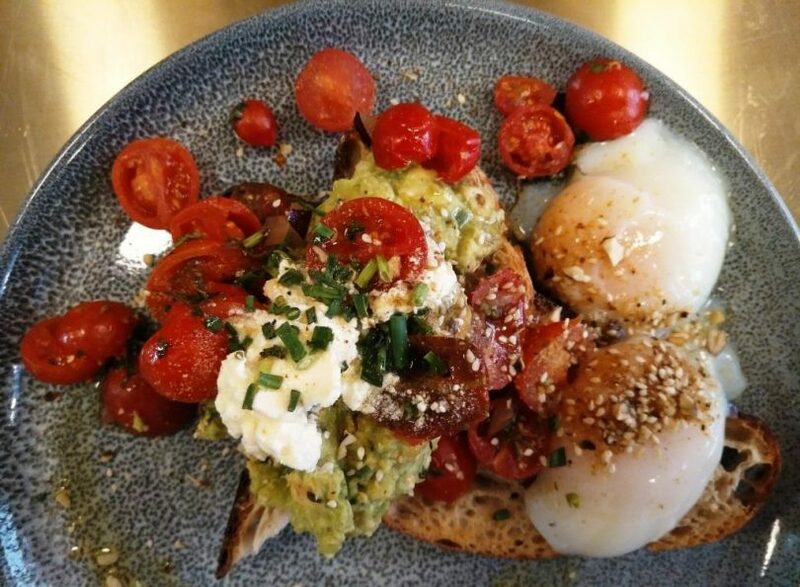 Gus’ take on the ubiquitous Smashed Avo, served with 63 degree poached eggs, dukkah and fetta with tangy salsa. Photo: Maryann Mussared. There are fresh juices, smoothies, toasted sandwiches, a variety of beers, and a wine list with most wines available by the glass. 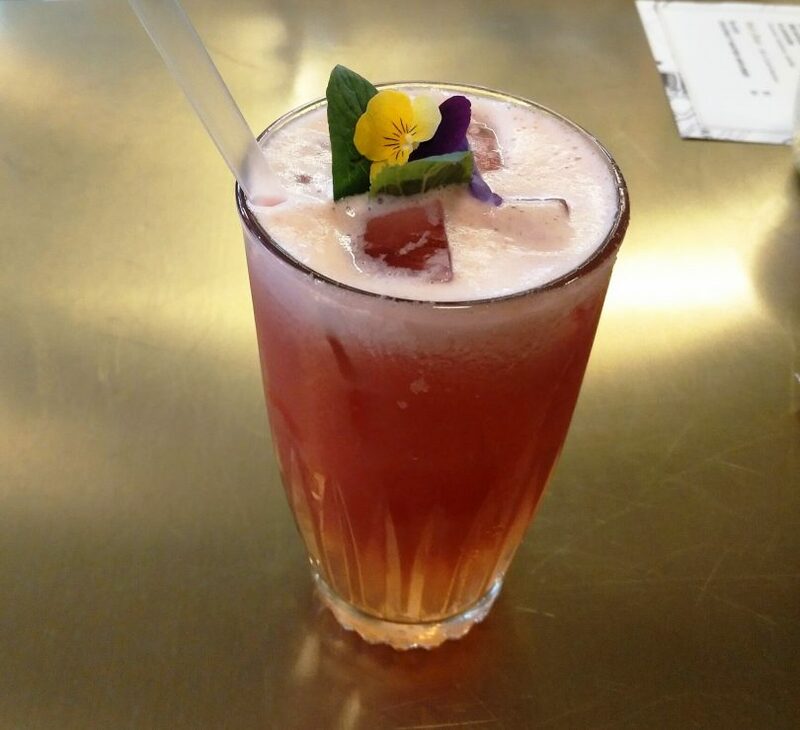 Refreshing Sunset Boulevard (watermelon, pineapple, lime and strawberry).Photo: Maryann Mussared. As well as the simplest offering of a range of different toasted breads (with butter, vegemite, peanut butter or Nutella), there are also delicious healthy light meals such as Poached Coconut Chicken salad. 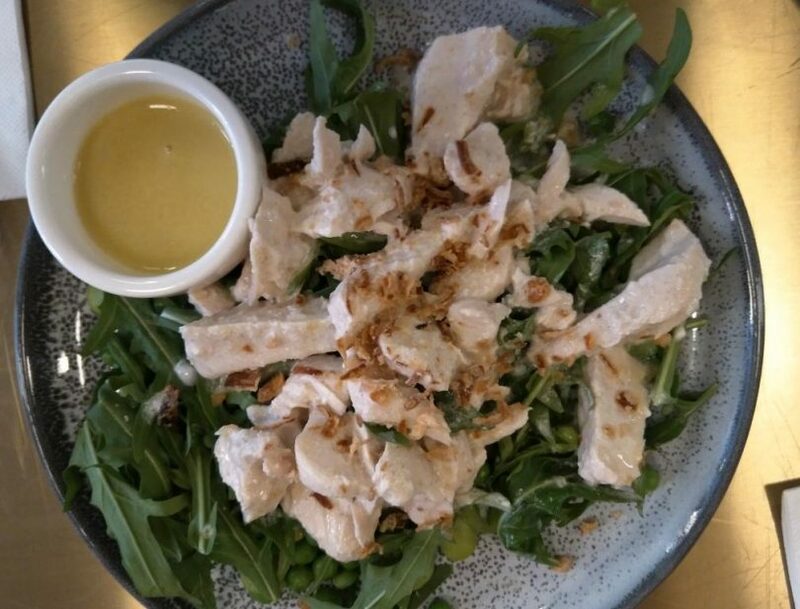 Poached Coconut Chicken Salad with tender chicken, onion flakes, rocket, peas, broad beans and tangy honey lime dressing which can be served on the side. Photo: Maryann Mussared. It is a relief to see Gus’ back in action: it seems to be in good hands with lots of former clients finding their way back there and it has really livened up the western end of Bunda Street again. Gus’ has lost none of its cache as one of the oldest cafes in Canberra, and I look forward to visiting again soon to explore the menu further. Gus’ is currently open 7:30 am to 3:30 pm seven days a week, and 5:30 pm to late Monday – Friday. Gus’ map mural inside the cafe. Photo: Maryann Mussared. Are you a long-time customer of Gus’? Please share your memories and stories in the comments below.